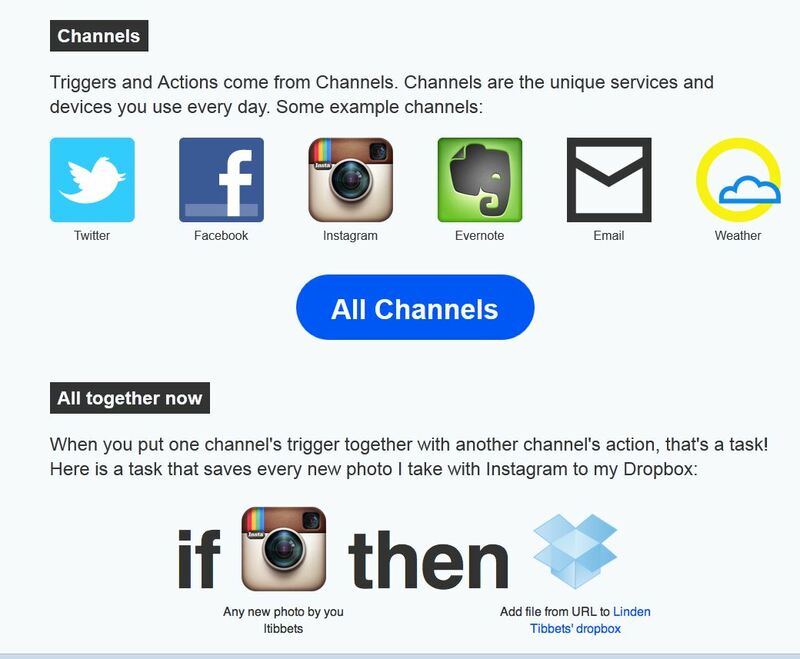 Picture obtained from "About" page of ifttt.com. 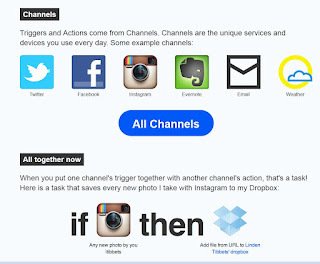 If you haven't heard of the service IFTTT (If This, Then That), you might want to check it out. It lets you connect your various social networks to perform unique tasks (also known as "recipes"). Although you don't have to have a cell phone or smartphone to use it, it works best if you do. You can sign up at ifttt.com.